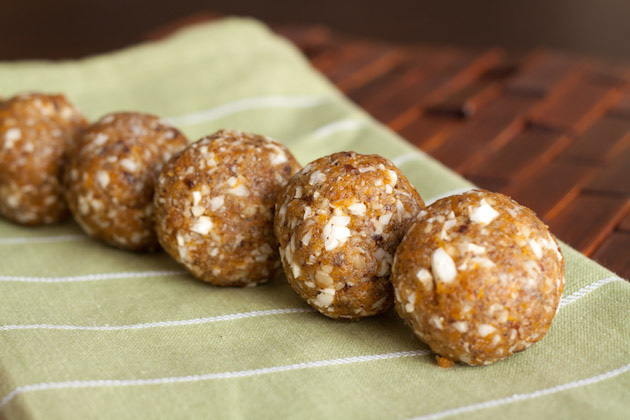 These dried fruit balls are filled with flavor and nutrients [specifically fiber]. 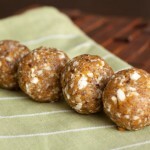 Fill your day with a healthful snack and take a moment to relax and enjoy the foods around you. Combine all 5 ingredients in a food processor and pulse until apricots and prunes have broken down [about 1 minute]. Roll “dough” into balls and place on a clean surface [do not use paper towel like I did for the first batch].